This week at Disley we have shown what an amazing lot of children (and parents!) we have at Disley school. 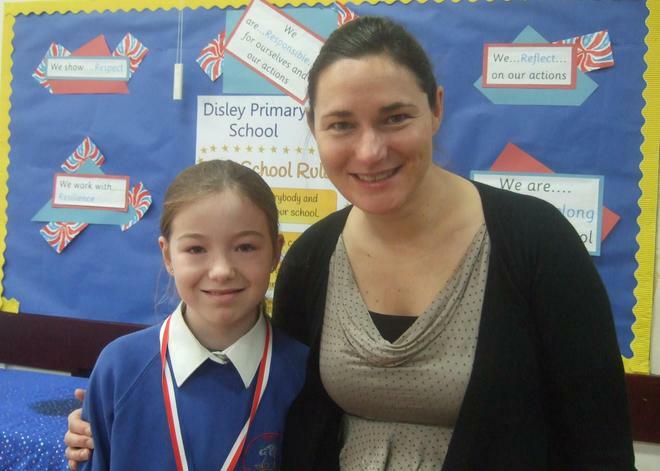 We started the week by awarding this term's Dame Sarah Storey assembly to Alice Eaton in our Year 6 class. Alice was presented with her award by Dame Sarah in a whole school assembly. She was chosen because of her overall commitment, dedication and fantastic attitude to school. Well done Alice; we are very, very proud of you. On Friday 17th November our Year 5 and 6 children led an assembly for Children in Need, and organised a bake sale for their parents and other children in school. The assembly was written by the children and was very thought-provoking and informative as they told us all about the history of this fund-raising day, plus some of the work that the charities do. To date, we have raised almost £400 from the sale of cakes, with a further cake sale planned for next week. Thanks to parents too for supporting this event. All the money raised will be sent to the Children in Need appeal. We have an SAS (Safe at School) Squad in school who are keeping an eye on the safety and well-being of everyone in school. 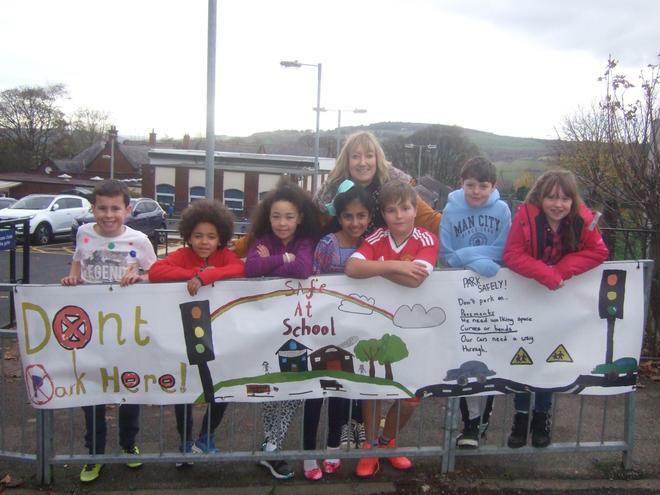 Last term they ran a competition to design a banner to promote safe parking around school. The banner arrived this week and has been put up near the main entrance of school, with a 2nd banner near the A6 entrance. Thank you children for reminding us about safety on and around the school; the banner looks fantastic!